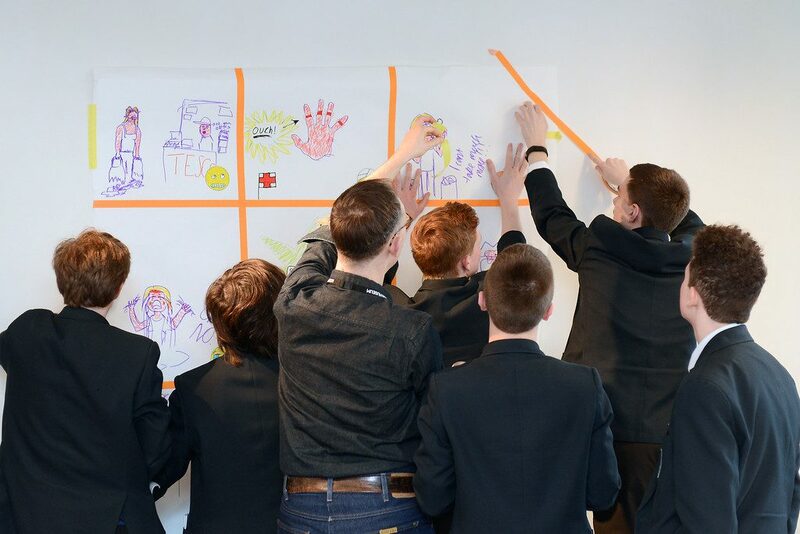 On Wednesday 13 February the Design Ventura team welcomed the top ten shortlisted schools back to the Design Museum for a special day celebrating design. The day was kicked off by Sevra Davis, Head of Learning at the Design Museum, who was followed by two incredible presentations, one from Heather Corcoran from Kickstarter and another from surface designer Giles Miller. 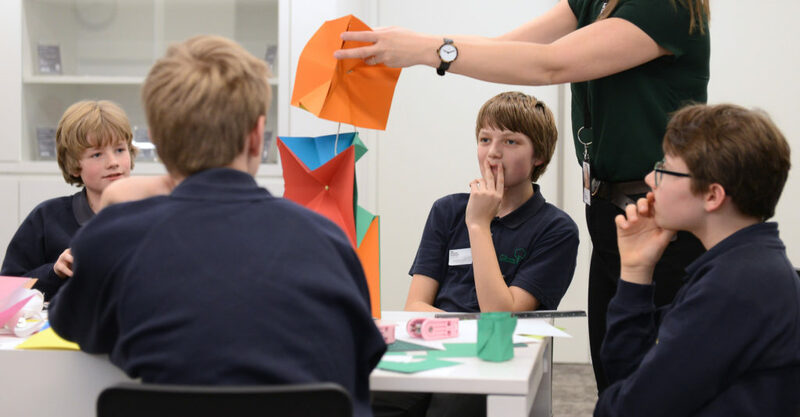 The afternoon started with a career insight speed networking activity, which allowed students, teachers, family and friends to ask experts from industry about how their creative and enterprise skill have supported their successful transition into the workplace. After tea and cake and while friends and family were visiting the galleries, the student activities continued. Students had a chance to participate in an exciting paper forms workshop led by designer Haidee Drew and a fantastic drawing workshop led by Peter Ayres from Beep Studio. 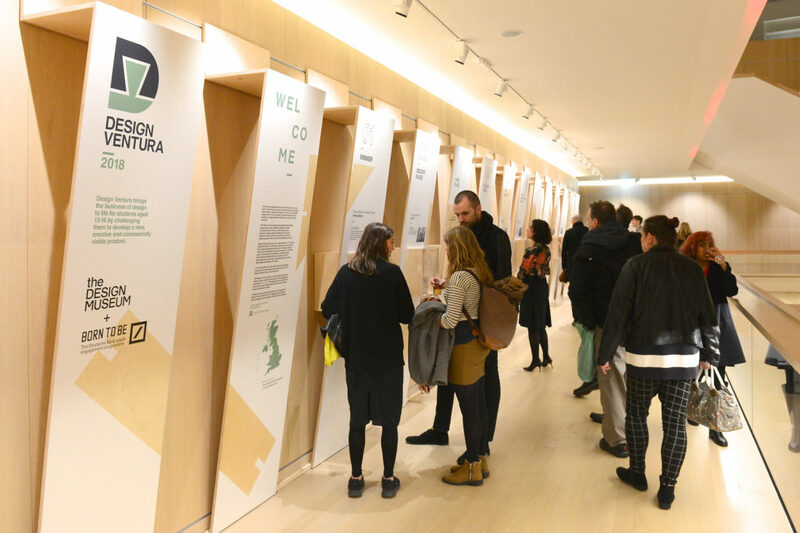 In the evening, the Design Museum opened its doors to the shortlisted school teams, their teachers, family and friends, Deutsche Bank employees, Design Industry Experts, the Design Museum team and special VIP guests to celebrate the success of Design Ventura 2018. 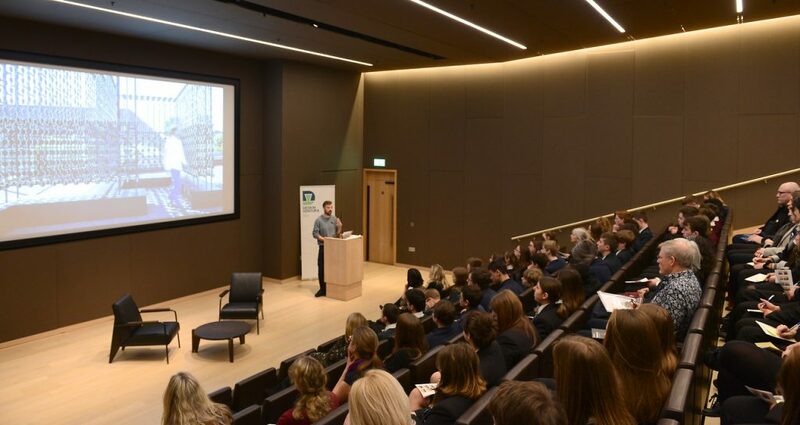 The event gave the students a chance to explain their innovative products to guests, network with people from the industry and be advocates for their schools. Guest were really impressed with the confidence and communication skills that the students demonstrated. Last year’s winners Weatherhead High School presented a cheque of £1694.67 from the proceeds of their product (Petal Pot) to a representative of their chosen charity, Claire House Children’s Hospice. The anticipated announcement of the Design Ventura 2018 awards was presented by the judges: Alice Black, Christoph Woermann and Donna Wilson. The prizes were awarded as follows: Graveney School, Greig City Academy, Highfields School and Park House School were awarded as Outstanding Finalists; Spalding High School was awarded Commendation for Most Market Ready Product; Gillotts School was awarded Commendation for Ingenuity; and Weydon School was awarded Commendation for the Good Design. 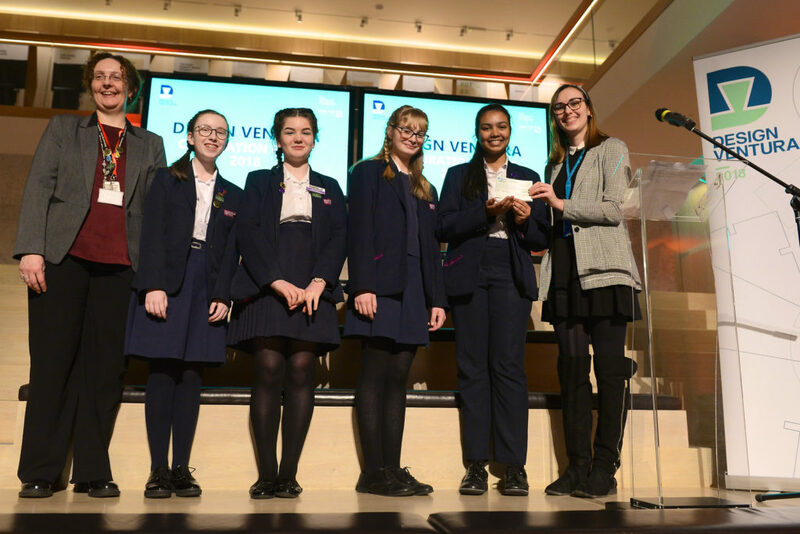 The third place was awarded to Horsforth School; second place was awarded to East Barnet School and finally the Design Ventura Winner 2018 was Simon Balle All-through School with HIT SNAP. 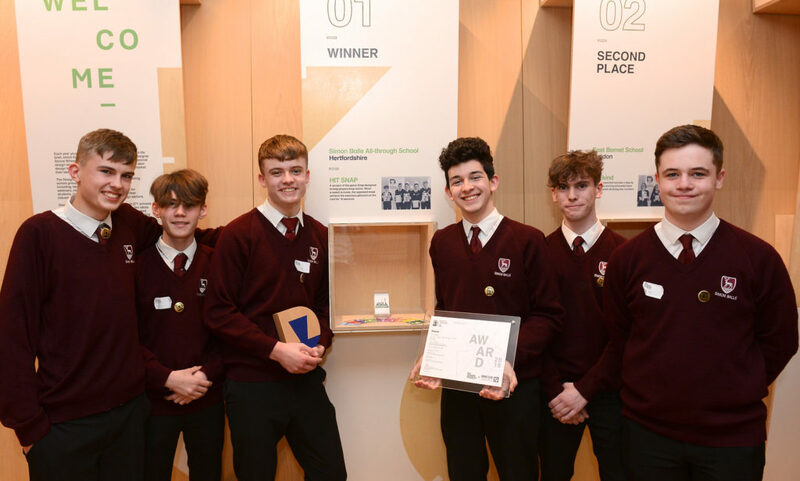 Following the award ceremony, the Design Ventura Exhibition with prototypes from all ten shortlisted schools was unveiled. This year, the Design Ventura project had more than 270 schools and over 14,000 students participating. The display is up until 28 April. 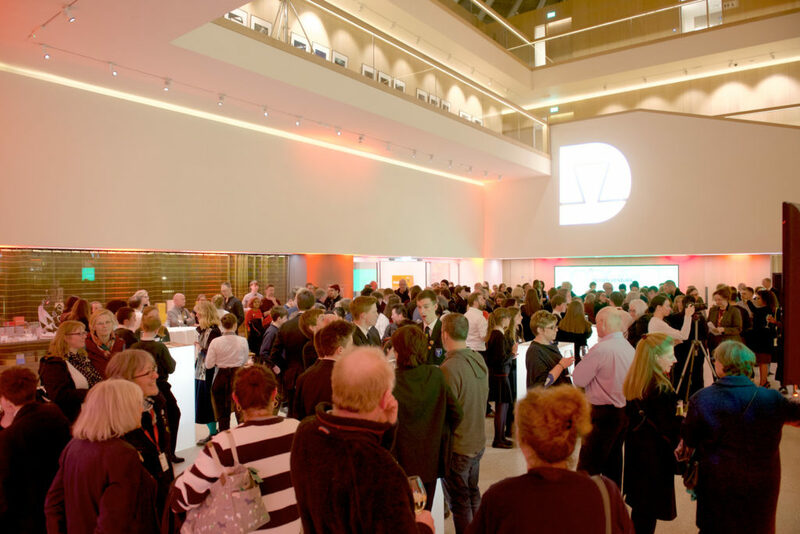 The Celebration Event was about celebrating design and congratulating all those involved in the Design Ventura 2018. Thank you to everyone who participated in the Design Ventura project making it such a successful project!